Hand painted white, and slightly distressed, these are a smaller version of our large wooden letters. 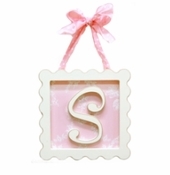 Our decorative small wooden letters are the perfect addition to your nursery or kids room! 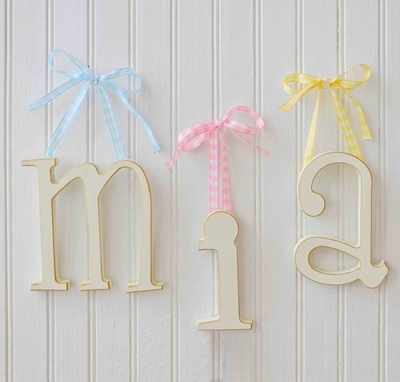 These wall letters for the nursery are one of our best selling items. Letters are all lower case. PLEASE NOTE:This item is custom made for you upon ordering, please allow 2-3 weeks for delivery.